The Northern black widow is expanding its territory – making Quebec its new home. According to a new study by Montreal researchers, the species has been tracked as far north as Quebec’s Lac Saint-Pierre. However, researchers say there’s nothing to worry about. In fact, these spiders may have been in our midst for years without anyone taking notice. While black widow spiders tend to strike fear in most people, the Northern black widow spider is actually quite small – about the size of a quarter – with small red dots on its abdomen. Like most spiders, they generally avoid humans and only bite when threatened. Even then, the amount of venom injected is minimal. These spiders like to hide in old stumps, cavities, and recesses of buildings, so they’re not often spotted. One of the study researchers, Maxim Larrivee, said he’s never seen one in Quebec. 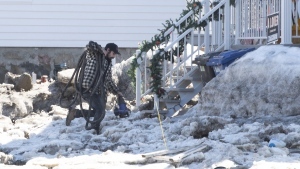 "It's related to warming trends we've seen in the last 20, 30 years, especially in southern Quebec," he said. The research was conducted by the Universite du Quebec at Rimouski and McGill, but also helped in large part by citizen scientists and amateur entymologists, who help track and photograph the presence of the creatures. “It really multiples 100 fold the amount of information we can gather to understand how the environment is changing,” he added. The groups behind the study have set up a website for those who are intrerested in getting involved in helping keep track of spider sightings. Larrivee cautioned against Quebecers getting panicky because of the black widow's fearsome reputation. 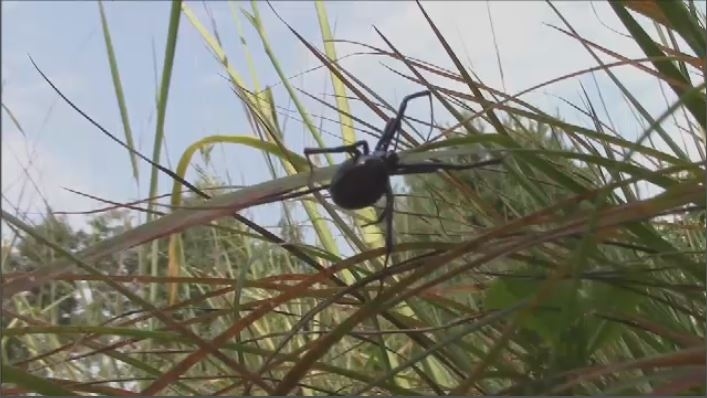 "People shouldn't be worried about this because finding a black widow spider in southern Quebec is worse than finding a needle in a haystack," he said.